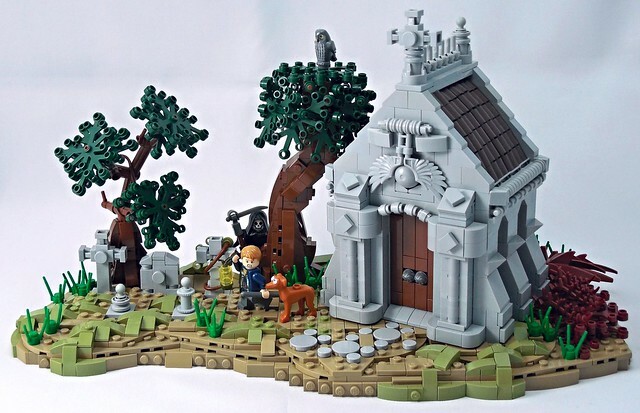 How can a MOC be fun and ghoulish at the same time? There's something really charming about this mini diorama by vitreolum. Clean architecture, nice proportions, pleasant color use and interesting silhouette. But then you notice you're actually looking at a graveyard, oh and Death is sneaking up on that poor dude, with a cutlass.